San Francisco is one of the most beautiful cities in the United States. It's popular with both domestic and international travelers and there is no shortage of places to explore in the city. The hilly terrain, Victorian architecture, and dramatic setting on the bay make it a top pick for backpackers and travelers. 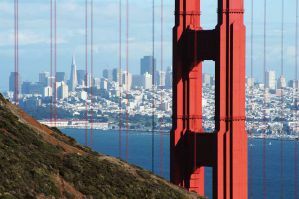 San Francisco is a notoriously expensive place to visit, but it does have more hostels than most American cities. Most accommodation is found in either the Union Square or Fisherman's Wharf areas. Union Square is a bit more centrally located, but Fisherman's Wharf offers great views of the bay. A great party hostel for solo travellers and backpackers. Green Tortoise Hostel is the place to stay if you're looking for a party hostel in San Francisco. It's a fun and social place to stay that is a great value for budget travelers. They even host free dinners three nights a week. These meals are decent in quality and include things like pasta, tacos, or curry. A free breakfast is also served every morning with fruit, bagels, orange juice, eggs, and oatmeal. The hostel also has some unique amenities such as a sauna, a computer lounge, and free tea and coffee throughout the day. There's a full kitchen that you can use to prepare your own meals and free activities and pub crawls throughout the week. The staff can also help you organize a variety of tours including tours of Napa or Sonoma Valley. The hostel has private double rooms as well as five and eight bed dorms. Five bed dorms are female only while eight bed dorms are co-ed. Whether you're traveling alone, with friends, or as a couple, Green Tortoise has a fun and social environment where you're sure to have a good time. HI San Francisco Downtown is one of the most popular and top rated hostels in San Francisco, California. It's prices are reasonable and the location is great. It's near many of the best sights in the city including the famous cable cars, Chinatown, Museum Row, and Union Square. It's also surrounded by excellent shopping, great restaurants, and a vibrant nightlife scene. The hostel has a variety of amenities for guests including free wi-fi throughout, a complimentary breakfast that's served every morning, and a full kitchen which guests can use. The staff also organize regular events and activities for guests. The hostel is located in a charming historic building and it has a variety of room types to choose from. There are twin and double private rooms with either shared or en-suite bathrooms. There are also dorms that sleep four or eight people. Male only, female only, and co-ed rooms are all available. 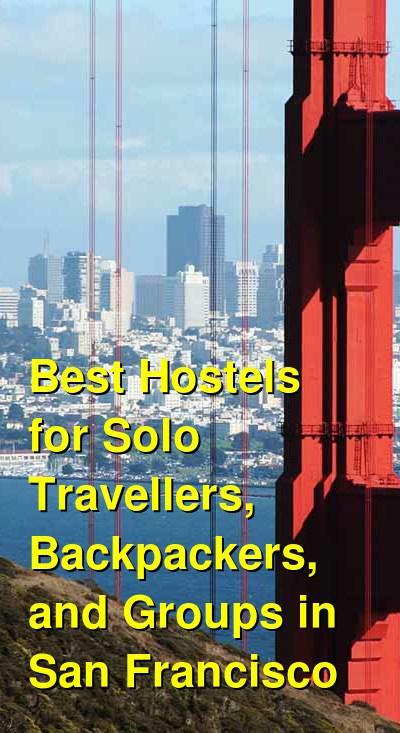 USA Hostels San Francisco is a top rated hostel in the city. It's one of the most popular hostels in the city and you can be assured a fun and exciting visit if you stay here. The hostel staff go out of their way to make sure guests have a good time. They regularly host activities and events such as pub crawls, city tours, and group dinners and there is plenty of common space where you can hang out with other guests. There's a large lounge, a 50 seat theater, a yoga room, and a shared kitchen and dining area. This hostel also has all of the standard amenities for guests including free breakfast every morning, luggage storage, security lockers, and laundry facilities. There are both private rooms and dorms that you can choose from. Private rooms are either twins or doubles and both shared bathrooms and private bathrooms are available. Dorms sleep up to four people and both female only and co-ed rooms are available. HI San Francisco Fisherman's Wharf is located on the waterfront in San Francisco. You can enjoy breathtaking views of Alcatraz and the Golden Gate Bridge right from the hostel's steps. It's also just a short walk from the famous Fisherman's Wharf area where you'll find Pier 39. The Marina district is also close by. The MUNI bus is easy to catch and can take you almost anywhere in the city you might want to go. This hostel has some great places for guests to relax. There's a nice sun deck if you want to spend some time outside. There's also a movie room where you can watch dvds and a communal lounge where many guests enjoy hanging out. Every morning the hostel serves up a complimentary breakfast that includes organic fruit and fair trade coffee. Lunch and dinner is also available for purchase. This hostel has twin and double private rooms that use shared bathrooms. There are also four, eight, ten, and 24 bed dorms available. The smaller dorms are split by gender and the larger dorms are co-ed.